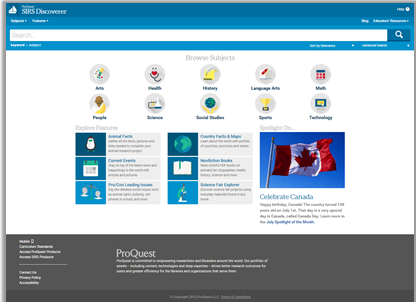 ProQuest SIRS Discoverer supports differentiated instruction by providing Lexile scores, grade level reading , article read-aloud and language translation, age-appropriate article summaries, automatically generated citations, and a critical thinking skills tutor. Teacher and student materials are aligned with curriculum subject areas, research topics and homework help. User-friendly special database features such as “Animal Facts” “Nonfiction Books,” “Country Facts,” “Pro/Con Leading Issues,” “Science Fair Explorer,” and “Spotlight of the Month,” to further support the curriculum, while engaging students as they identify content needed for research, homework and classwork. 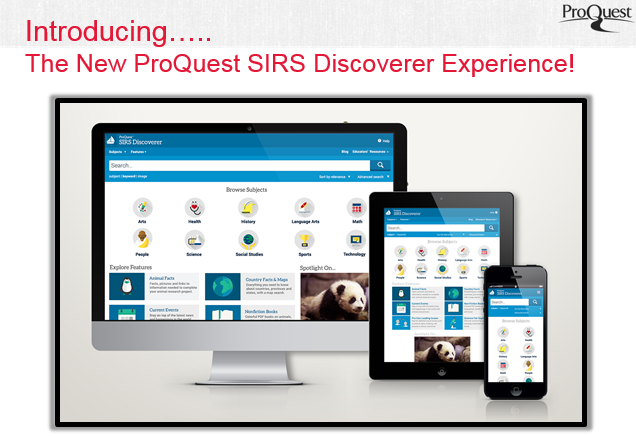 The new SIRS Discoverer has been specially designed to be compatible on all devices! All you have to do is sign on! ProQuest SIRS Discoverer continues to 'Take Aim' at Common Core Standards with its live Common Core Correlations standards alignment search. 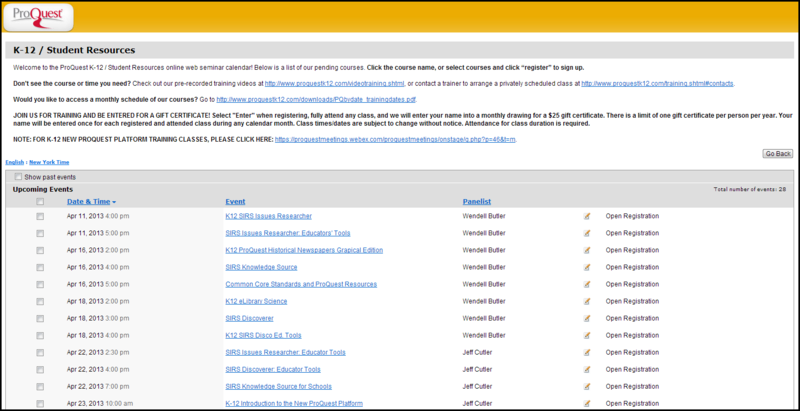 This search is tied directly to the Library of Congress subject indexing in ProQuest SIRS Discoverer to provide live up-to-date searches based upon key terms in Common Core standards. Additional support is provided for state and national standards sets as well.